The season has now turned to autumn, you can glimpse it in the colors that are starting to spread along the roadsides. 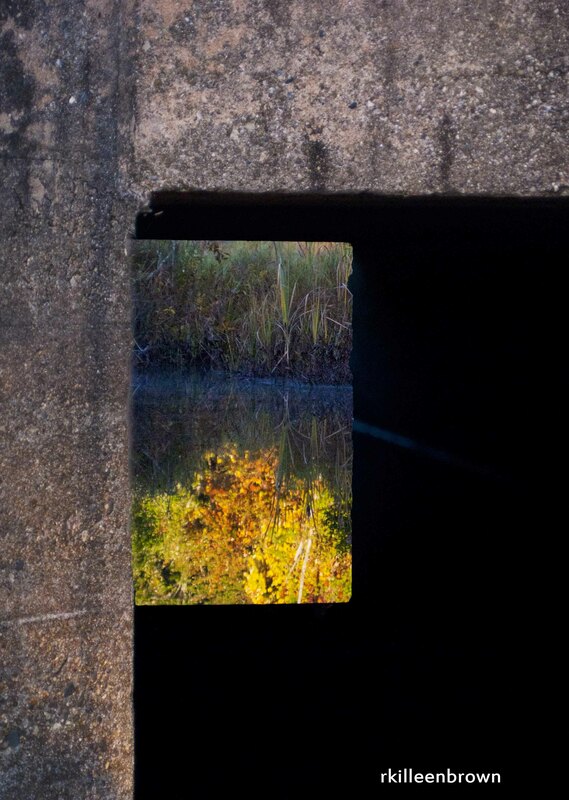 It can even be seen at the end of a culvert under the road, that unexpected burst of color that catches the eye. I am feeling as if time is flowing by in a rush, the days are turning directly to months instead of to weeks first. I was by a stream this morning and took some time to just stand and listening to the water rippling by as it passed over the rocks, it sounded like perfection, so clear and pure. The musical quality of the tones could have held my attention for more time had I allowed it, possibly hours. But I had a show to take down and pieces to load, unload and sort though before the Lowell Open Studios this weekend. But those minutes by the stream set the tone for my day. Since none of those are desirable outcomes, I will wrap this up and get back to the sorting and shifting, and along the way enjoy the new space as it evolves. I don’t usually get to see the sunset as our house has very tall pine trees on the western side. 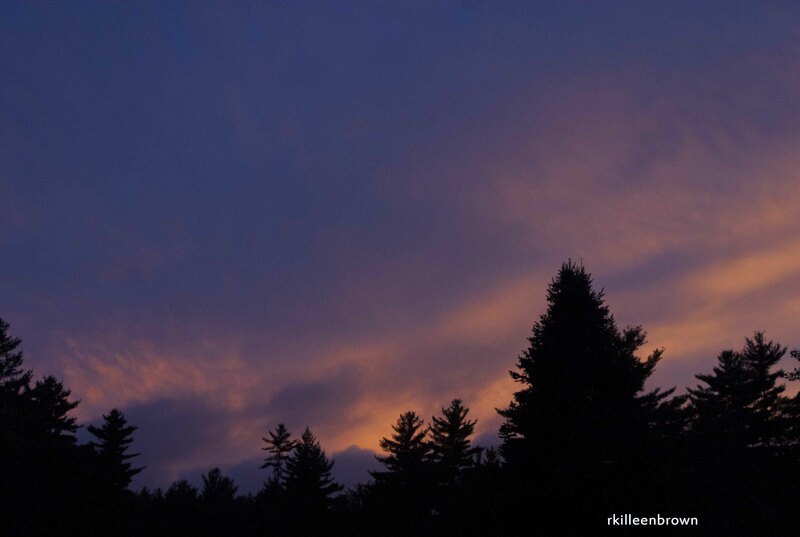 But last night I went for a quick walk and grabbed my camera when I saw the sky. I had spent all day in my studio moving furniture, cleaning and painting the floor. Well just over half of the floor actually. Today I am trying to get the rest done, but it meant moving larger pieces which made for a slow start. I have one good coat down and am waiting (and watching paint dry) for it to be ready for the second coat. The color looks great, it is bright and fresh and makes the space look sharper. It is my second paint job in just a few months, as I did my hall side studio wall. I guess I am feeling in need of freshening up. I know my shoulder will ache, my neck will have a crick and I will have paint under my nails for work tomorrow. But I will have the satisfaction of knowing I got the job done, and that is worth it. 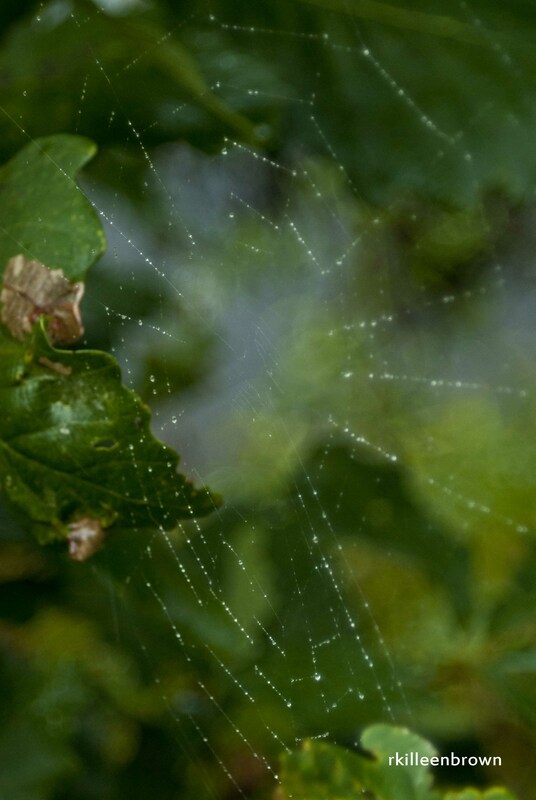 I happened to photograph this spider web this morning while out for a quick hike. It was right there along the path, and I had passed it on my way in and not seen it. My daughter saw it on our way out and we both stopped to admire it and get a few photos. 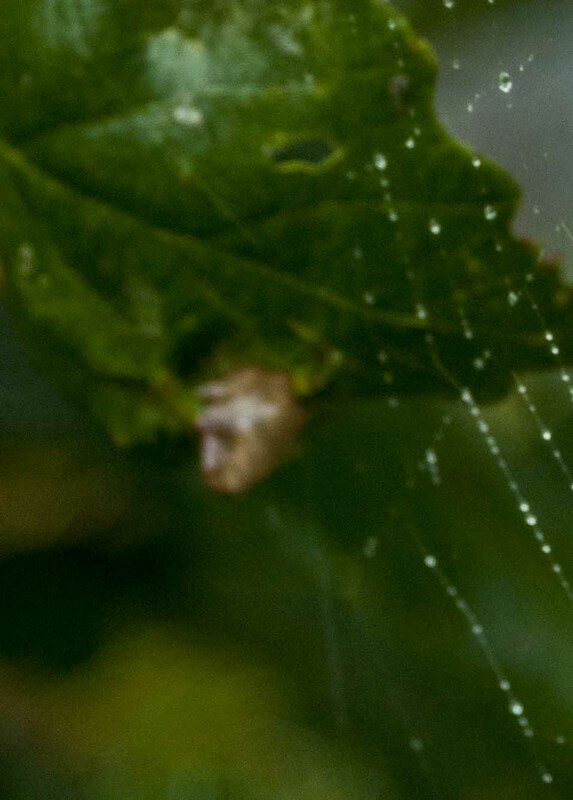 It wasn’t until I was editing the images that I noticed this. 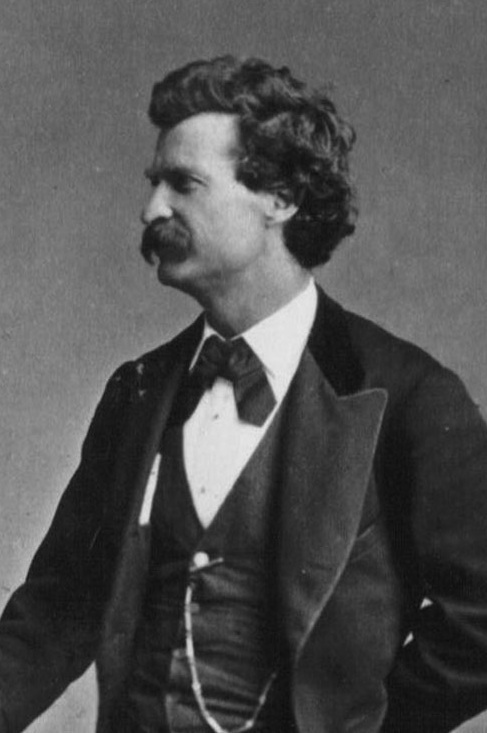 Is that Mark Twain hanging out at the edge of the web? It sure looks like him, but what do you think? I can’t be sure, but there does seem to be a passing resemblance! Early one morning I happened to catch this duck on its solitary commute. There is a busy road that runs over this section of the canal, but the duck appears to not be bothered by it at all, keeping to its own path. Lucky to not be caught in the street traffic, able to move at its own pace on the water. The fact that Lowell is part and parcel of a National Park means that the city has the advantage of still having many scenes such as this. Luckily the canals weren’t filled in for building lots once the mill industries went south in search of cheaper wages. Having the canals still in place gives birds a chance to gather for water and paddling about, people a chance to see water in both river and canal form, and gives a glimpse of the history of the place. Waterways vary and divide the city-scape in a way that feels natural now due to how long they have been in place, at the time they were built it probably felt chaotic. No doubt travel patterns and some homes were disrupted as this huge project got underway. The landscape of our memories tend to be limited to our time in a place, which is why we look at old photos and try to match them up with scenes we know. 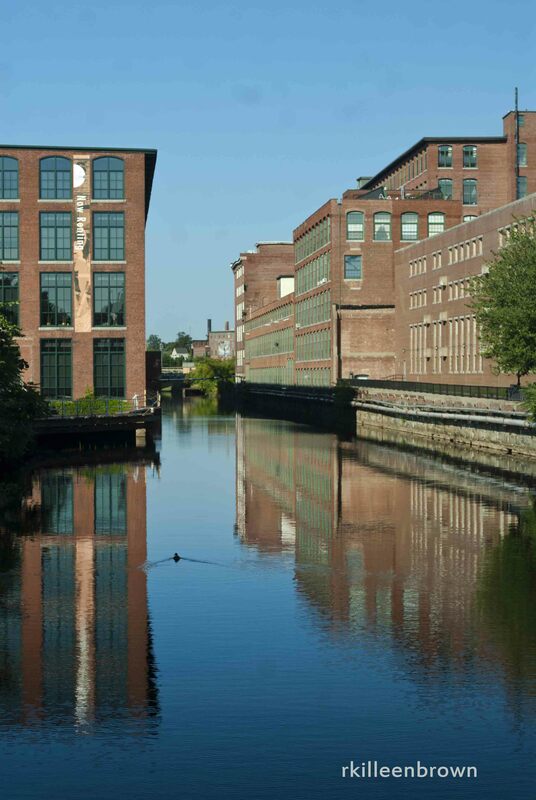 Lowell feels a bit like a time capsule in spots and a place reinventing itself in others. I guess this is true of many places, though some seem to be less about preserving and more about the bright and new. While I was out walking I passed this roadside tableau. It is set up to catch the eye, not for actual purchases. Spring, summer and fall each have a slightly different look, winter the snowbanks are too high to get a good look. The season is turning away from summer and toward autumn days. The frogs are fewer and quieter at night, the coyotes noisier and there is a chill in the air that speaks of cooler days ahead. I have only seen a few spots of color here and there, nothing that is making a loud statement of fall, not yet, those days are still ahead those getting closer. The threat of a frost last night further north was mentioned, earlier than many years. But in my neck of the woods there was no risk, we could continue to think fall was still down the road a ways. I look forward to the colors of fall, the smells, the light, but not the early darkness they bring. Seeing it getting dark in the afternoon is not invigorating, much like dark winter mornings aren’t when I am snuggled warmly in my bed. But this is how the seasons go, and each day brings another season a bit closer. 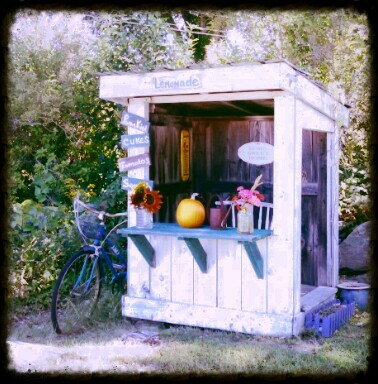 For now I will enjoy these waning days of summer, the last blooms in the garden and then I will turn my face to autumn.